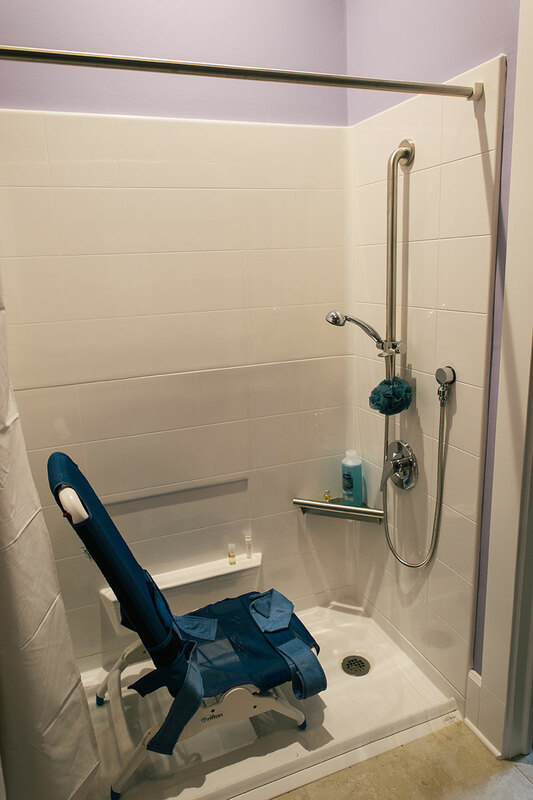 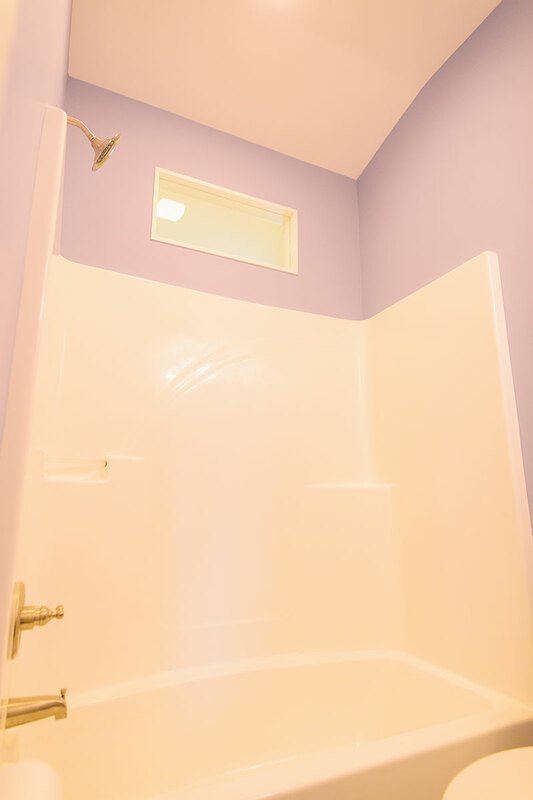 This family needed to add bedrooms to their home and make their downstairs bathroom accessible. 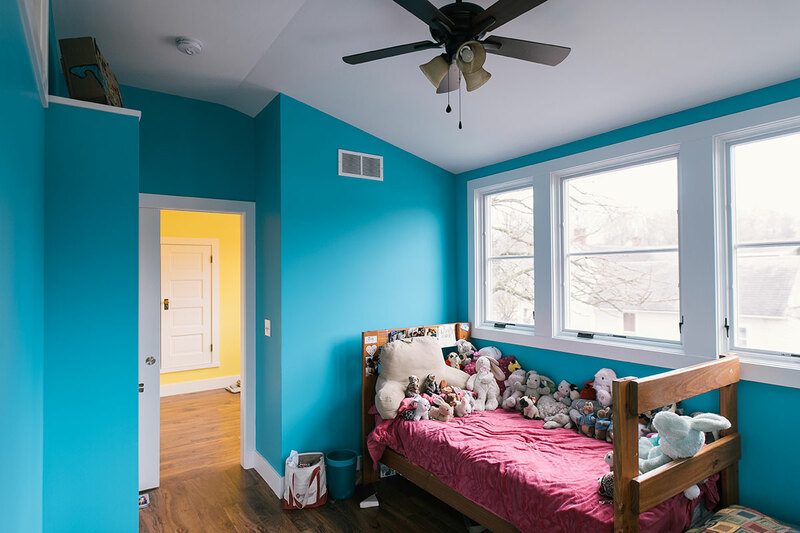 We tore down an existing garage in this historic near west side home to increase the footprint and added two bedrooms, a common room and a bathroom above it. 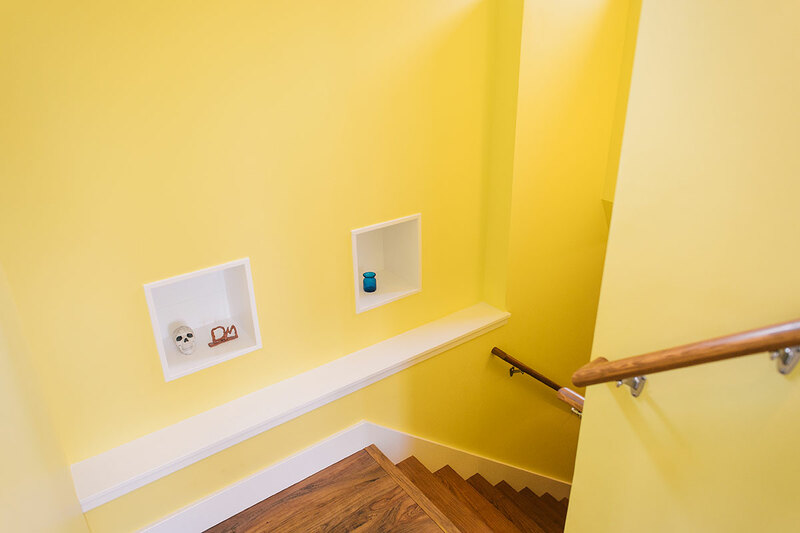 We were able to seamlessly tie the stairway into the existing house which ended up letting a generous amount of light into the existing hallway. 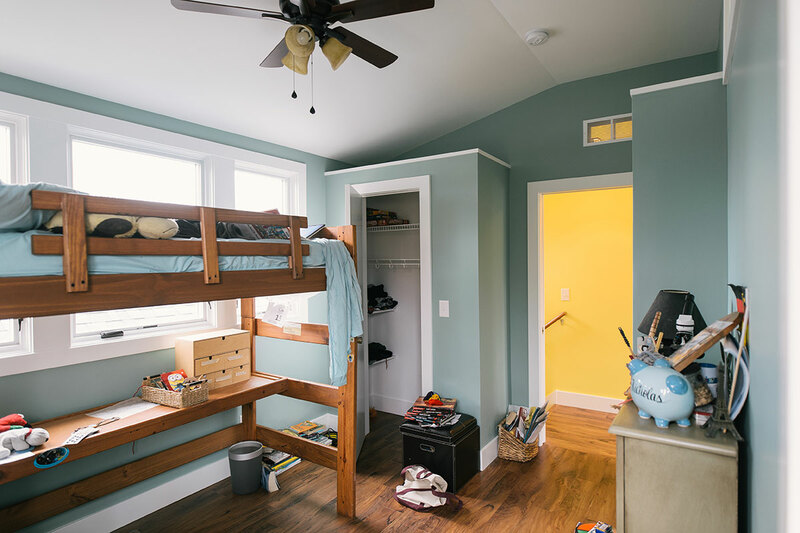 The bedrooms and common room also fill with light from windows on all sides. 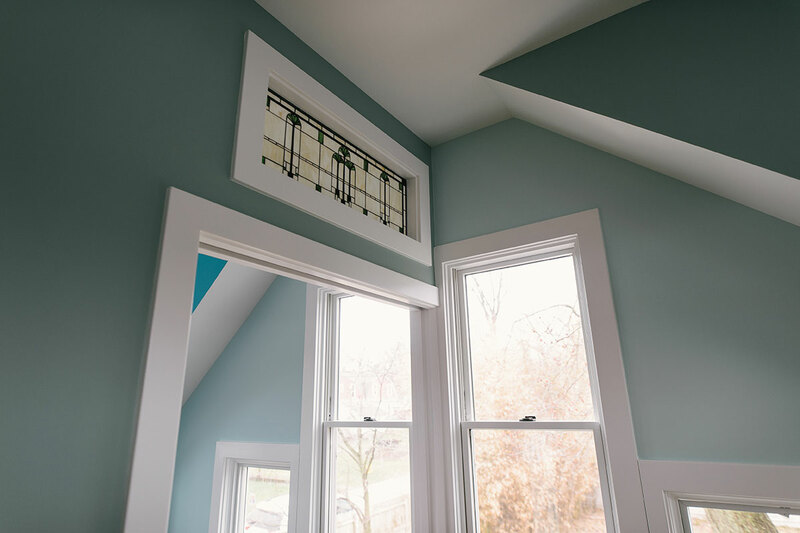 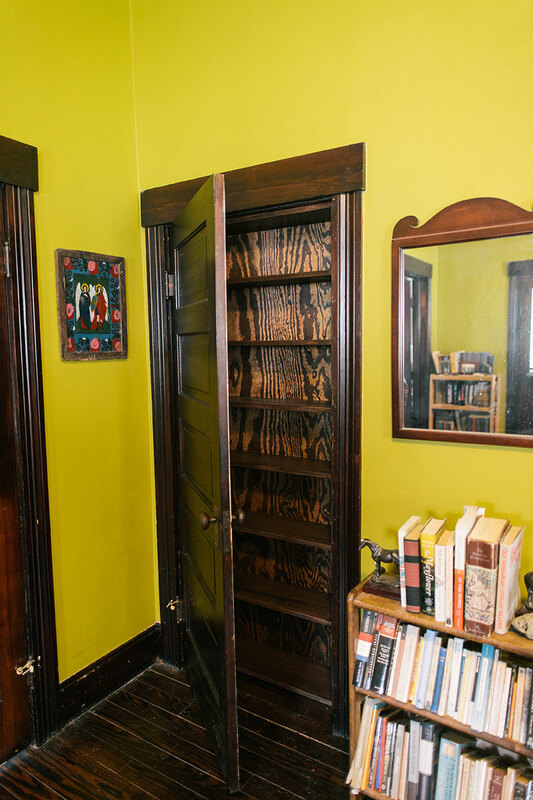 We were able to install a custom 4 foot pocket door that closes to integrate into the window casing to separate the two rooms. 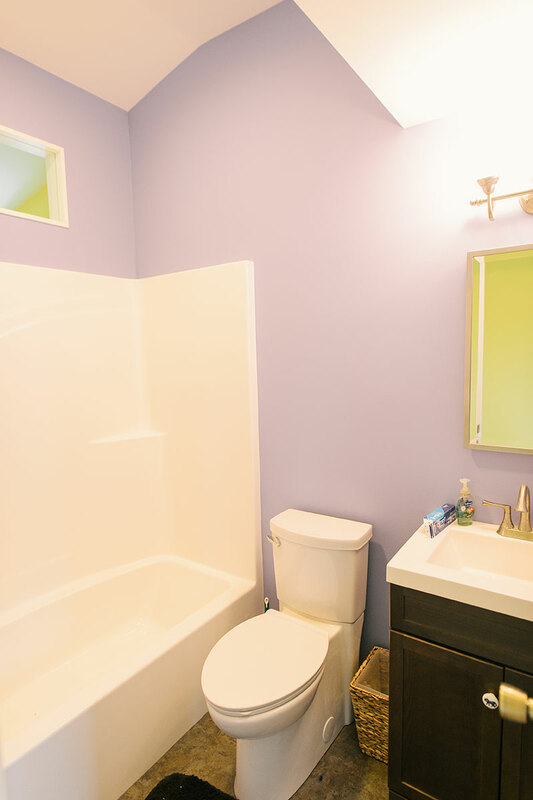 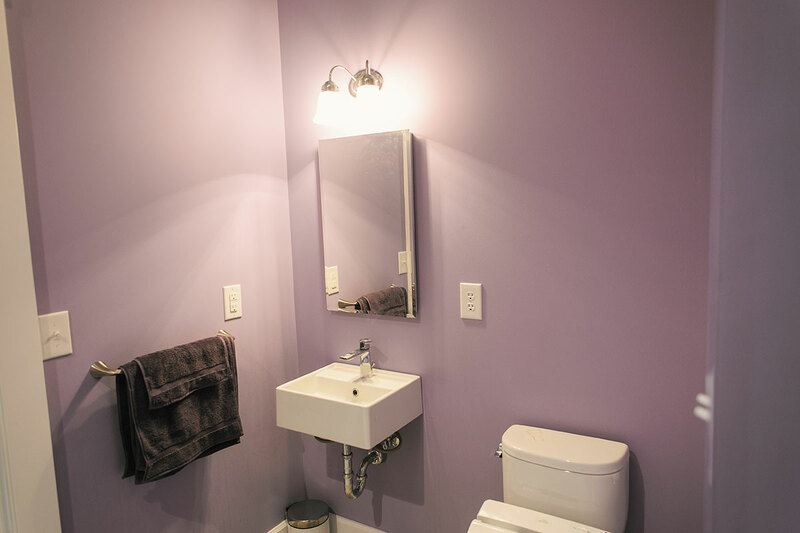 The bathroom downstairs was reworked to be more accessible by widening the door, installing a shower insert with ADA threshold making the room larger and installing a new sink and toilet. 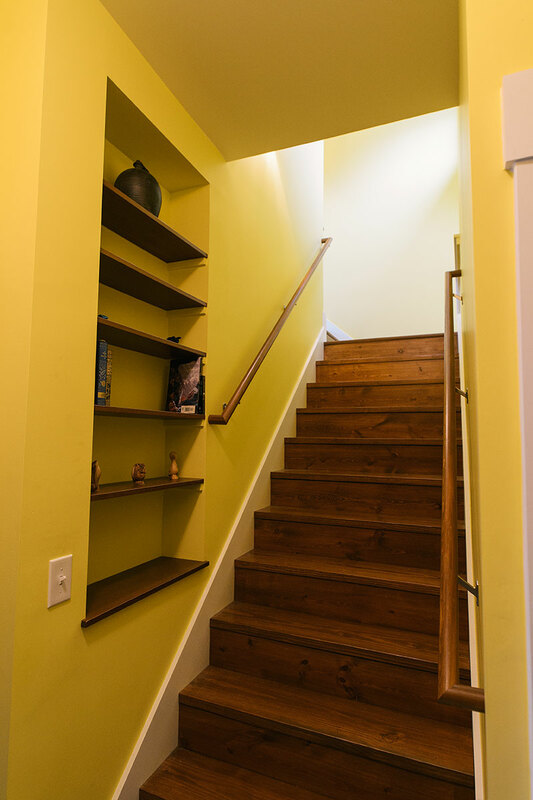 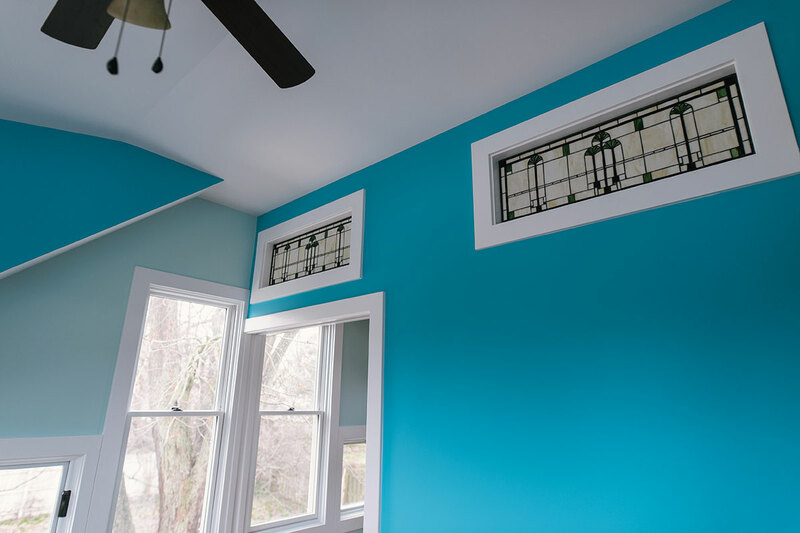 The homeowners were very involved in this live-in remodel and were integral in our process there, resulting in a wonderful space that looks as though it has always been there.